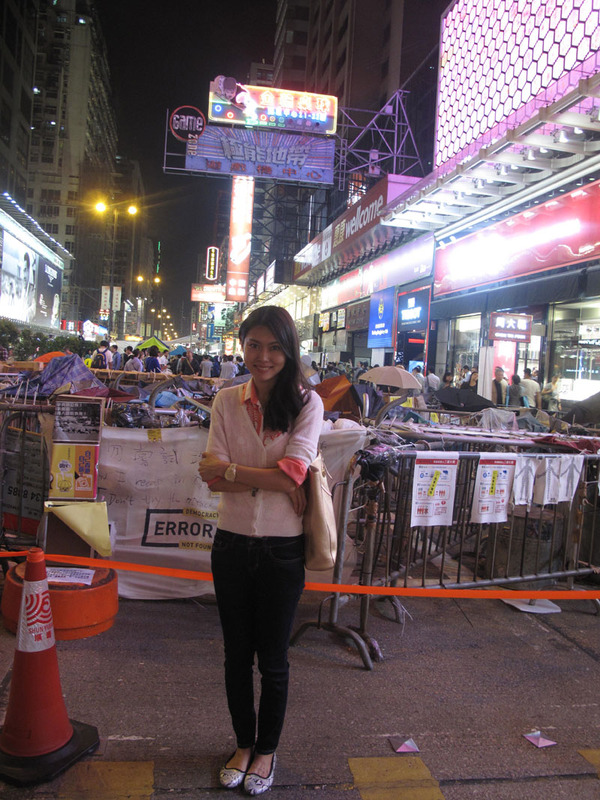 The first night in Hong Kong, I walked, with a friend, around Mongkok, Yau Ma Tei and Jordan area. 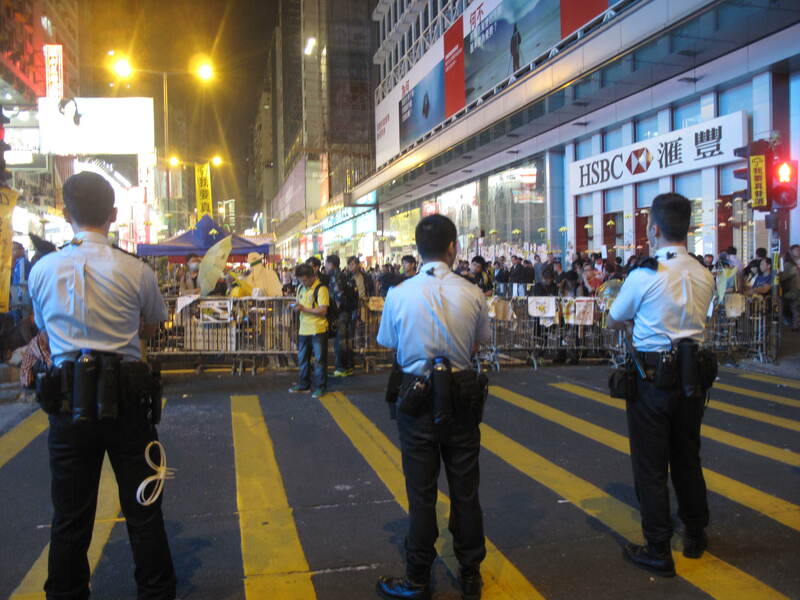 We chatted rather mindlessly and found ourselves in the middle of Occupy Hong Kong movement. Incidentally, it’s the 5th of November; a day of resistance. 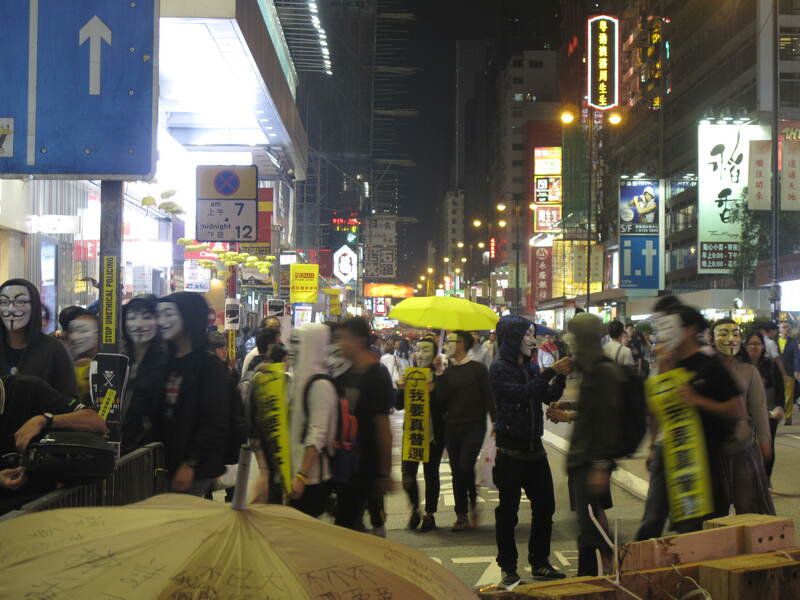 Hong Kongers were in Guy Fawkes mask were shouting “Kwong ming lui lok!” (I believe it means transparency). 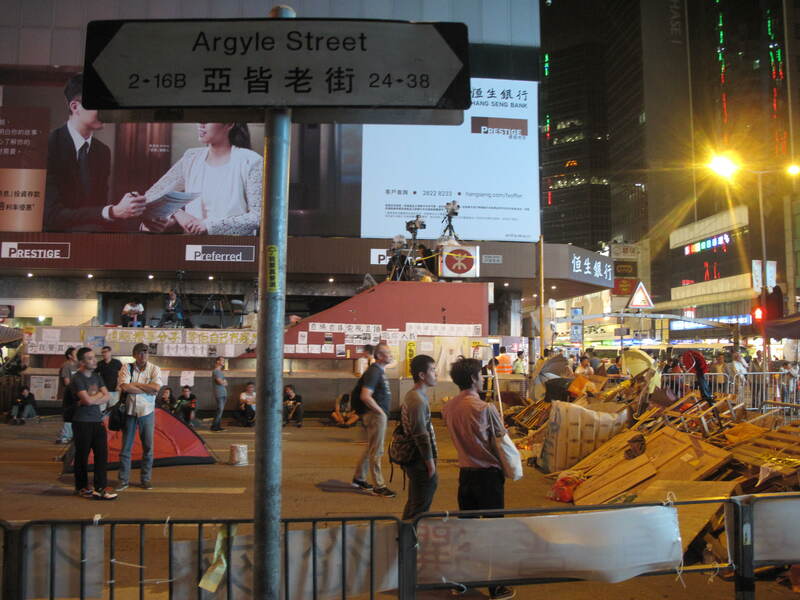 There were a lot of tents, yellow umbrellas and police. 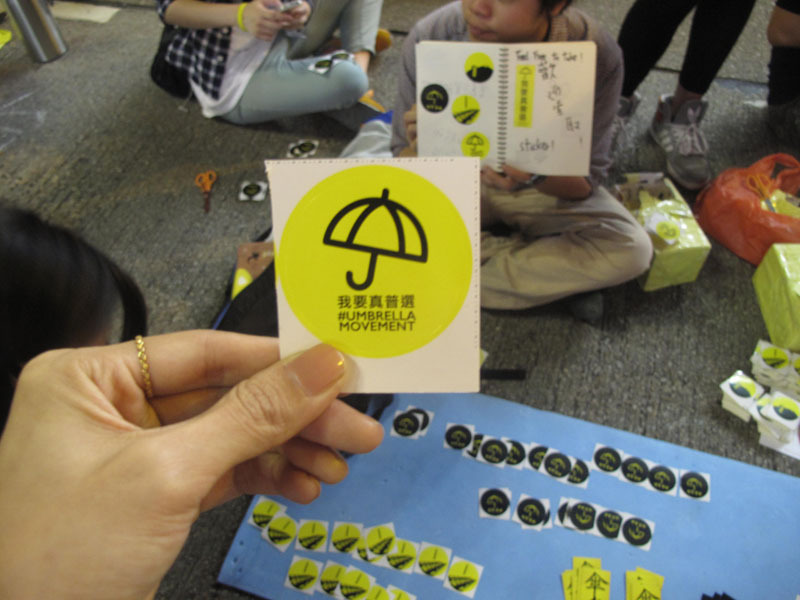 I got myself a yellow sticker just for fun. 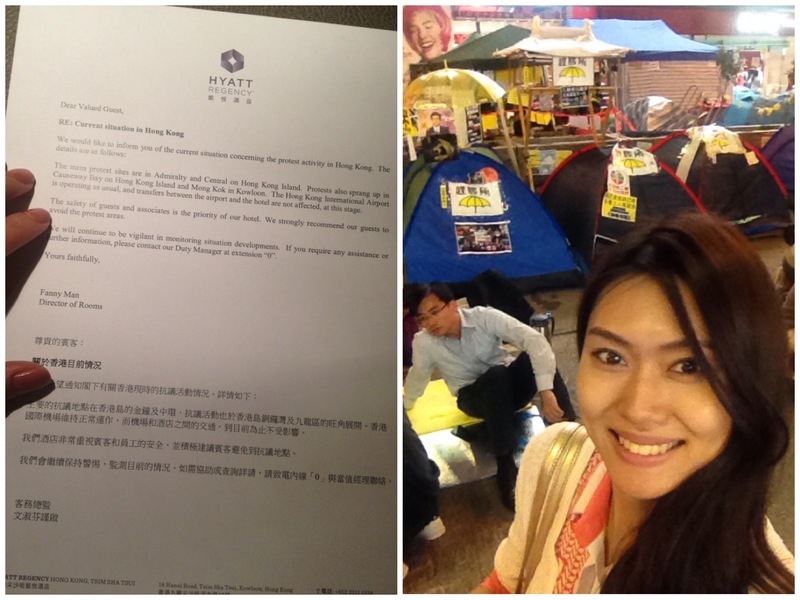 Only when I got back to the hotel, I found a note which advised tourists to stay away from the area. Too late! I did quite a lot of random, touristy things like checking out fortune tellers, going all the way up to Langham mall and eating smelly tofu. But that shall be in the “10 Things I did In (insert city) ” series.